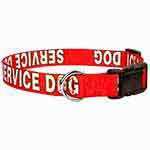 Many people confuse Therapy Animals with Service Dogs or emotional support animals. A therapy animal is most commonly a dog (but can be cats and other species) that has been obedience trained and screened for its ability to interact favorably with humans and other animals. The primary purpose of a therapy animal is to provide affection and comfort to people in hospitals, retirement homes, nursing homes, schools, hospices, disaster areas, and to people with learning difficulties. NOTE: Therapy Animals do NOT have any federally protected rights. 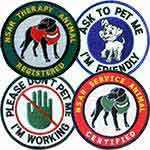 Click here to find out how to become an NSAR Therapy Animal Team member. 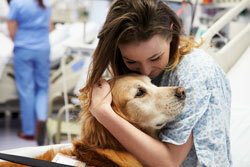 Therapy animals are privately owned and tend to visit facilities on a regular basis. A therapy animal is only half of the equation, however. A responsible, caring handler is an important member of the therapy animal team. At the end of a visit, therapy animals go home with their owners. 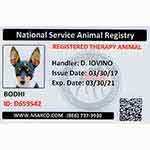 Most commonly, therapy animals are dogs; however, NSAR routinely registers cats, rabbits, and other species that have shown they like people and have the temperament to work with them. 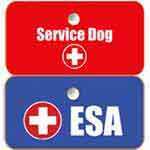 Although therapy animals provide a very important therapeutic service to all kinds of people in need, they are NOT considered "service dogs" and they and their handlers have no protections under federal law (ADA, the Fair Housing Act, Air Carrier Access Act, etc.). Some states, however, have laws that afford therapy animals and their handlers rights and protections. The first (and most common) are "Therapeutic Visitation" animals. These dogs are household pets whose owners take time to visit hospitals, nursing homes, detention facilities, and rehabilitation facilities. Visitation dogs help people who have to be away from home due to mental or physical illness or court order. These people often miss their own pets, and a visit from a visitation animal can brighten the day, lift spirits, and help motivate them in their therapy or treatment with the goal of going home to see their own pets. The third type of therapy animal is called a "Facility Therapy Animal". These animals primarily work in nursing homes and are often trained to help keep patients with Alzheimer's disease or other mental illness from getting into trouble. 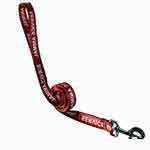 They are handled by a trained member of the staff and live at the facility. 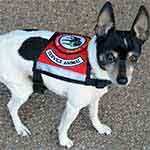 Click here to find out more or to become an NSAR Therapy Animal Team member.